We know Ireland has an obsession with burritos, but this is still a major deal given our population. Boojum has some of the world's most loyal customers as their burrito came in at an impressive fourth place in this year’s overall top ten dishes on Deliveroo around the world. Flex those burrito muscles, as the dish bet off the likes of Bubble Tea from Hong Kong and a Poke Bowl from Amsterdam. The winner that took the top spot on the list was Pad Thaï from Thaï at Home, Paris. In second was a Cheeseburger from Five Guys, in London. And in third came Sushi Lovers Poke Bowl from CALI-POKE in Dubai. Overall, our nation is a clear lover of takeaway as we were featured eight times in the top 10 dishes ordered in 2018 around the world. Seven of the eight restaurants were based in Dublin, the other one was a Satay (wok dish) from Xian Street Food, Galway. So it seems the capital of the country enjoy nothing more than ordering their FAVE meal from the delivery service. While noodles and Hawaiian poke bowls were ultra trendy this year, 2018 also saw healthy plant-based dishes grow in popularity – g'wan the vegans. Although a firm FAVE during last year was pizza, which remained a top choice for food delivery around the world with five appearing in the top 100. Looks like we'll have to have a burrito in celebration of Boojum's success – well done, lads. Cereal is one of our ultimate meals and there's so much choice to be had. To be honest, we are lazy AF, so pouring a bowl of cereal is perfectly acceptable as dinner. But could our addiction to cereal be more about the sugar content, rather than the convenience? An experiment conducted by Behind the Label revealed that we aren't actually pouring ourselves the 30g serving of cereal like we are suppose to. In fact, we are doubling or tripling our portion sizes without even realising. – So put down the cereal box and take note. 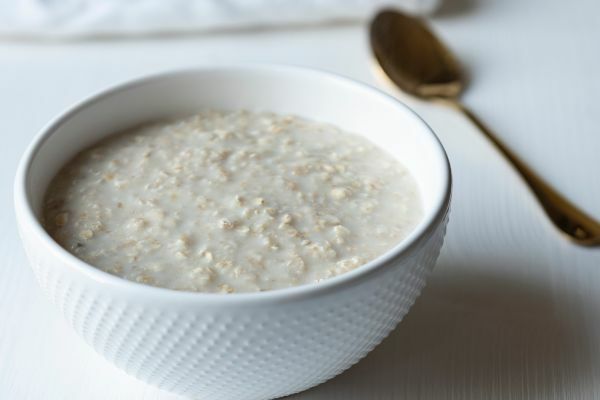 The study asked participants to pour their regular breakfast bowl of cereal into either a small (standard soup) sized bowl or a larger dinner bowl. And the results are pretty shocking. 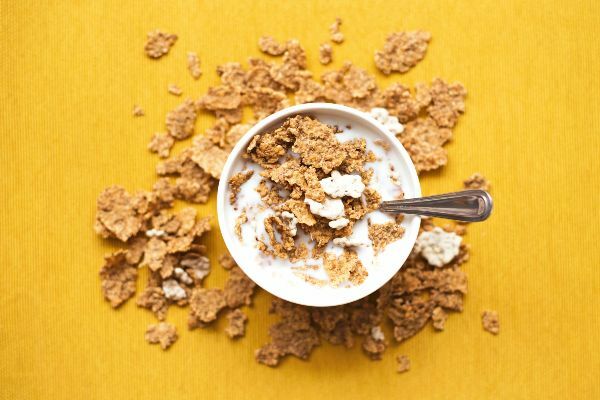 The average portion of sweetened diet cereal was three times (93g) the recommended portion size, which meant bowl came in at 351 calories and a staggering 14g of sugar. To put that into human terms, that's more sugar than a glazed doughnut, which contains 12.6g of the sweet stuff. The standard Crunchy Cornflakes poured was double the guided portion size (78g), but the kicker came with the sugar content. Hold onto your spoons as it came in at 27.46g of sugar, which adds up to two and half glazed doughnuts worth of sugar. 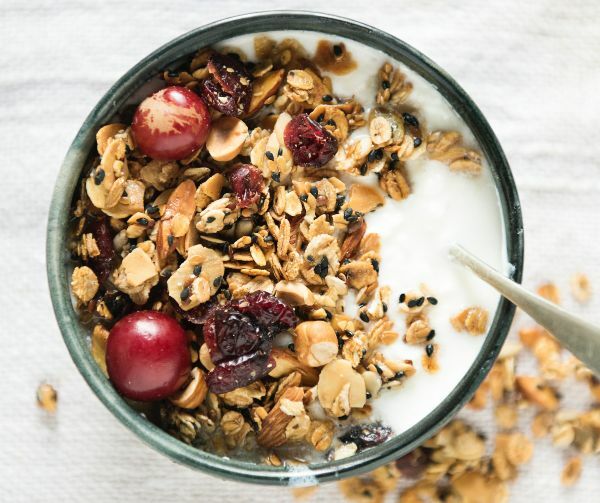 Granola isn't weighing up so fabulously either, participants helped themselves to portions almost double to what we are suppose to be having, which means they wolfed down 389 calories and 21.84g of sugar. And finally, a Muesil brand was the best of a bad bunch with people having a double helping which equates to four grams of the white stuff and 308 calories. The eye-opening results shows that we are overindulging in cereals and the labels aren't much to go by. As we tuck into a bowl, we think we are being good and keeping it within a certain amount of calories, when we are actually blowing our wonderful intentions out of the water. So put down the spoon, put the away the milk and go buy a weighing scales, if you really want accuracy. Or alternatively, just be mindful that you're consuming more than you think and adjust accordingly. Even though the results are shocking, our love of cereal wil be a hard one to break up with. There is nothing worse than spending your hard-earned cash on food that tastes terrible. That is why I always search high and low, researching restaurant reviews or checking Yelp ratings before trying out a new eatery. Out of all the amazing different foods out there, you would think a good, ol’ burger would be one of the easiest ones to get right. Wrong. I have had some soggy bunned and bland, burnt burgers on my eating excursions in town, being left with major regret in their stead. So, in honour of Thursday's National Burger Day, I am sharing my knowledge of the best burgers in Dublin with all of my fellow foodies. Starting with the obvious, Bunsen is seriously one of the most delicious burgers I have had touch my lips. Its toasted, Brioche bun and well-done patty is simply perfect. This is a great place if you are one of those people who can never decide what to order. Their minimalist menu cuts your choices down to two options: with or without cheese. This place has the biggest burgers you have ever seen, and you will want every last bite. Quality, sirloin beef sandwiched between a generous amount of towering toppings. If you fill up quickly, I recommend ordering your patty in a wrap so that you can savour each morsel of quality beef. Make sure to try out their crispy sweet potato fries. They also have delicious veggie burgers as well. Perfect for picky eaters or those with unique tastes, The Counter lets you build your own burgers. Choose your patty size, cheese type, sauce (they have over 20 kinds), and tasty toppings. I personally prefer adding a sunny-side up egg, crispy onion, bacon, and avocado on mine. They have amazing chicken wings as well. 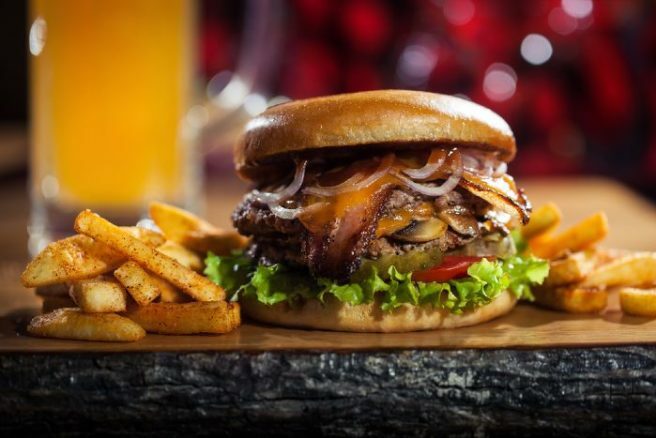 This restaurant provides the ultimate burger experience, letting you participate in creating a scrumptious burger tailored to your own taste. It’s all in the name with these fast-food styled burgers. One bite alone will have you saying ‘WOW’. As a former Californian resident, I can say that this is the closest thing I have ever found to In-n-out. With just the perfect amount of cheese smothered grease, this grub is the perfect combination of top-quality food for a low-cost price. Plus, you can find most locations inside a pub, making it the perfect drunken munchie for those late-night cravings. Best chicken burger I have ever had. Don’t let the name fool you, this is not a brunch place. The hipster eatery deals out fried chicken burgers that are finger-lickin’ good. They have a range of different sauces from buffalo to ranch dressing that soak into the crispy chicken creating a perfectly balanced texture. Their bacon mac n’ cheese and build-your-own cheesecake are must-eats as well. Keep in mind there is usually a longer wait, so make sure to put your name in before heading across the road to The Bleeding Horse for a pint. If you’re a vegan, you know how hard it is to find a decent burger in the city that doesn't taste like straight-up cardboard. 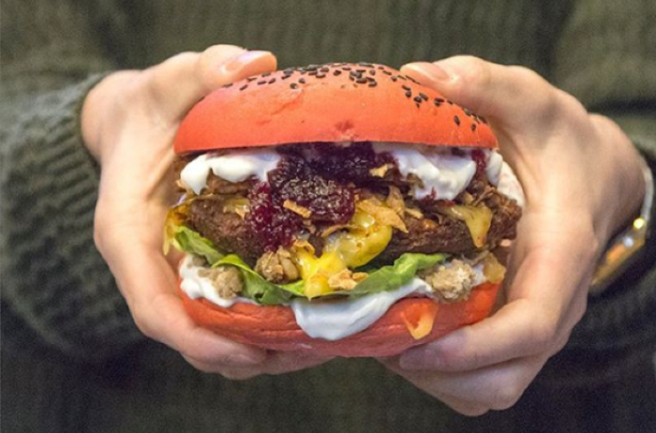 This place has the best animal-free patties in Dublin. It's top-notch vegan and vegetarian burgers are served with vegan mayo and vegan cheese on a soft, wholesome brown bun. The menu also has delectable bites for carnies as well, including buffalo chicken wings and gorgeous beef burgers. The homemade rustic wedges are favoured among all types of eaters. Oh, and did I mention they are vegan? Yes, you read that right. Although it’s known primarily for its pizza, this underrated grubhub has fantastic burgers. These mouthwatering delights hit the spot after a long day of trying to eat healthy. Plus, all of their fries are made to order. And while their pizza is subpar in my opinion, they have the best cheeseburger combo in the city. You will not regret choosing Ray’s for your cheat meal. Vintage arcade games, a variety of beers, scrumptious food – this is the ideal scene for you and your friends. Token’s burgers are made of tasty, grass-fed beef and are also available vegan-style. The vegan chick burger rivals that of On the Pig's Back. Also, their Out-n-In burger will change your life with its mouth-watering bacon jam spread. Check out their cheapskate deal that includes a main, side, drink, and ten tokens for games. There is also an entire floor of pinball machines, so what’s not to like at this hipster hangout? This Sandymount burger joint seems causal from the outside, but its food is five-star rated. One bite will confirm that all ingredients are from local farms, making this unique restaurant completely sustainable. So, not only is your burger fresh and delicious, but it also supports small, struggling Irish farms. Make sure to try their limited-edition Au Poivre burger with peppered brie, portobello mushrooms, and dijon dressing. It pairs perfectly with their caramelised Guinness milkshake. Looking for a late-night, greasy fix? 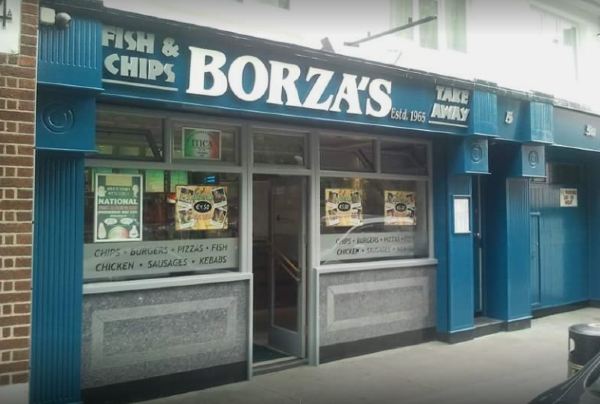 Borza’s has bomb bites that will hit the spot. Their Italian pork sausage burger is a favourite for locals with its original, spicy flavours, allowing for the perfect amount of crunch with each savoury mouthful. This family-owned chipper goes the extra mile by making their own vinegar and freshly cut chips, which have become all the rage in Sandymount. So, next time you have a hankering for a delish burger, try out one of these Dublin favourites. From one foodie to another, these burgers are worth every penny. Anne Marie brought us the TUNE that is 2002. The singer has worked her magic once again, but this time she has stepped out of the studio and into the world of food. Taking to Twitter, the British superstar has started a chain of weirdo food combos and honestly, it is giving us a laugh and the shivers. Get ready to either vomit or defend some of the food responses. And, it's not a bad way to find out who the real freaks of your friend group are. Here are some obsessions with vegetables, tomato ketchup and salt. – EW. Nutella fans shield your eyes now. Although these make more sense that the vegetables, they're still odd. We can understand the appeal of sweetness of the Nutella paired with the saltness of the meat, but the cheese? You know what I spread nutella on bread and add some cheese, it's not eww; it's good. The next food combo is actually a personal favourite and I will defend it. The balance of hot and cold, mixed with the salt and sweet makes this a delicious pairing. Yep – it's the old staple – chips and ice cream/milkshake. Then we revert to the right down wrong food friends and we can't cope. Does vinegar really accompany baked beans? What happened to good old fashioned toast? We will not be thanking you – that sounds horrendous. Now people are sinning against the perfection that is avocado. This twitter account suggests adding jam to our avocado and we are having none of it. Is there any food combinations you swear by? I highly recommend white bread, buttered with bourbon biscuits – to make the ultimate sandwich. Give it a go before you call me out and bunch me in with these food weirdos! Travelling to Galway is always a good idea. With the lively city's famous flair for fun, friendly locals, cultural richness and non-stop night scene, it's a must-visit for Irish folk and tourists alike. If you are heading west, there are a few treasured eateries you should definitely check out while you are there. Mick's famous creparie is a Galway institution. The stall has been a focal point of the Galway market for donkey's years, situated in the shade of St Nicholas' Church in the city centre. The traditional ham,cheese, scallion and mustard crepe is always a winner, or get more experimental with your choice of fillings. Using the freshest of ingredients, the authentic sushi at WA Cafe is an unmissible hallmark on Galway's seafood scene. The cafe, snuggled amongst the harbour-side traders at the docks, is run by a Japanese-Galwegian family who bring the delectable flavours of sushi and ramen to life. The cafe just won The All-Ireland Best World Cuisine 2017 award at the The Irish Restaurant Awards, so snap up a platter of their sashimi quick! Oh, and pick us up a packet of Pocky on your way out. 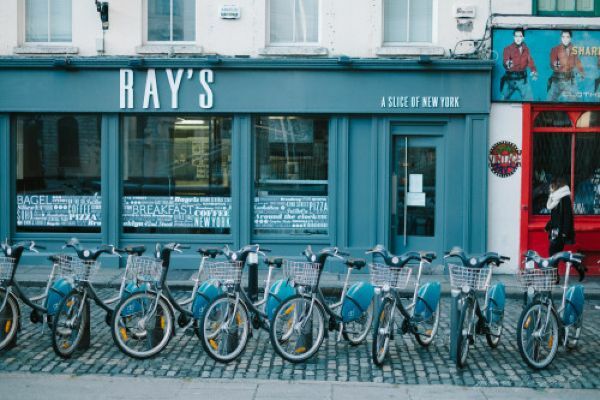 A list of the finest Galway eateries wouldn't be complete with our adding one of the country's edgiest street food specialists. 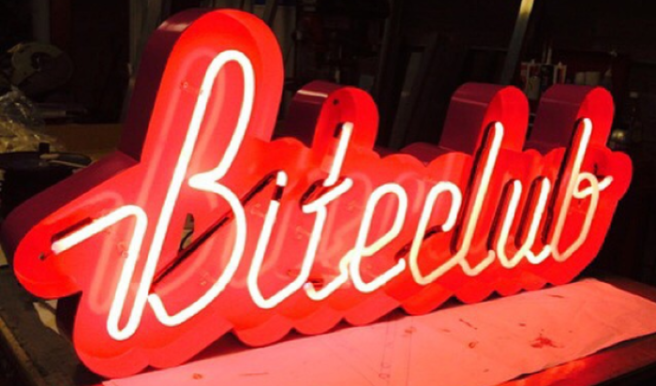 Biteclub Streetfood Discotheque brings a menagerie of eclectic menu choices to life, ranging from spicy fish tacos and Korean sesame chicken to deep-fried churros and the creamiest mac and cheese in the land. Oh, and it's a cardinal sin to leave Biteclub without sampling one of their lethal watermelon and gin slushies. Seven is a bar/restaurant tucked away in Galway's Latin Quarter. The intimate and welcoming vibe is perfect for a hungover breakfast with the gang, or try the extensive drinks menu as the evenings grow darker. Opt for their classic full Irish breakfast on cheat day, or tackle the delicious goats cheese and roasted vegetable panini. Known for its edgy yet sultry decor and champagne cocktails, Tribeton has been delighting the palettes of Galwegians since it opened. The industrial backdrop sets the scene for a night of gourmet bar snacks and beverages, or you can go all out and opt for their night time menu. The grilled salmon with chorizo cream and the Belvedere Spritz cocktail are the ideal menu options. This delectable delicatessen is about to celebrate its first anniversary. 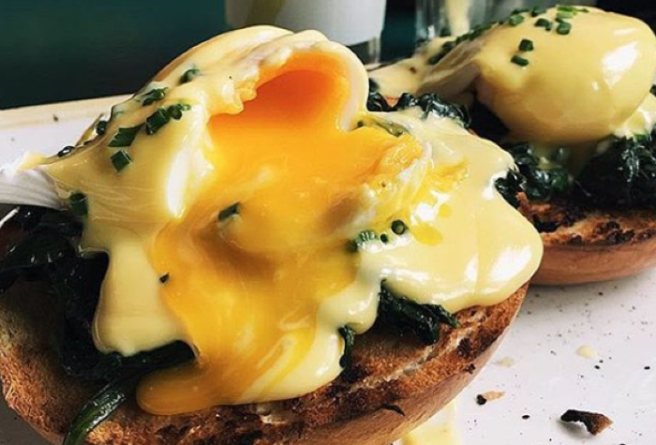 While it may still be the new kid on the block when it comes to Galway eateries, the brunch behemoth on Church Lane has already made a mega impression on diners in the city of tribes. Try the delectable calimari with citrus salad if you're in the mood for a lighter bite, or go all out with the luxurious lobster and eggs at brunch. If you're trying to have a baby, or thinking about starting a family in a few years, you may want to start taking notes. According to new research, your man should be chowing down on nuts (sorry boys) as they increase his sperm count. Researchers took 119 healthy males between the age of 18 and 35 and gave one group a portion of nuts whilst the other continued to eat as normal. They found a 16 percent increase in sperm count from those who had the nuts. 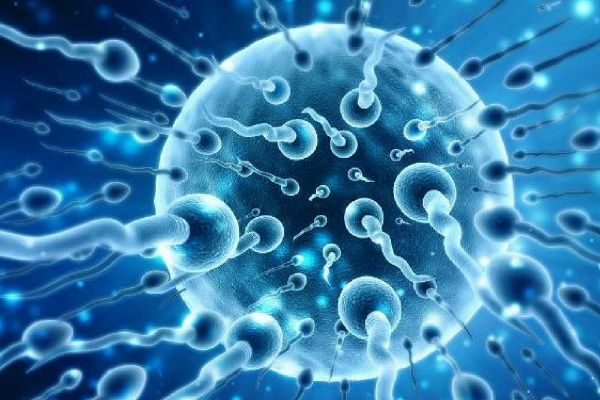 Their sperm vitality also rose by 4 percent, sperm motility by 6 percent and sperm morphology by 1 percent. The study was run in the Human Nutrition Unit of the Rovira i Virgili University in Spain, by lead author Dr Albert Salas-Huetos. Dr Albert says they embarked on the study in response to "pollution, smoking, and trends toward a western-style diet," which is impacting the quality and quantity of human sperm. The results also concluded that those who ate nuts had a “significant” fall in sperm DNA fragmentation, which is crucial for successful fertilisation and normal embryo development. 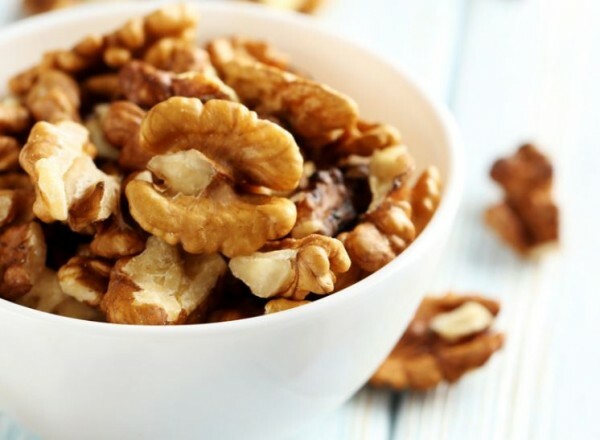 Before you run out and stock up on the nuts and force-feed them to your partner, the author said more investigations need to take place before they can solidly conclude the benefits of the nuts when baby-making. “We can't yet say that based solely on the results of this study,” says Salas-Huetos. 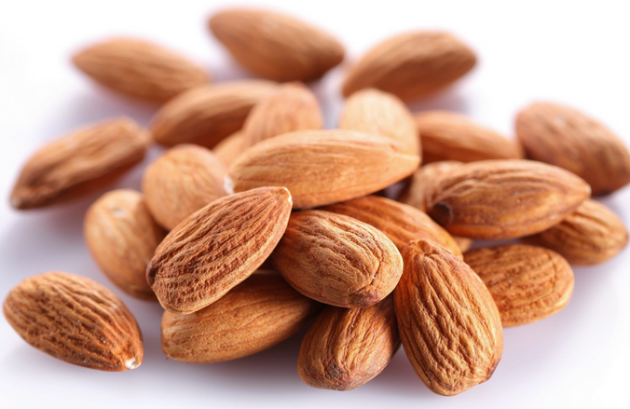 During the 14-week study the men ate 60 grams of mixed almonds, hazelnuts and walnuts. Dr Albert did say that if you want to try for a baby, evidence points to a healthy diet aiding your chances of conception. “But evidence is accumulating in the literature that healthy lifestyle changes such as following a healthy dietary pattern might help conception – and of course, nuts are a key component of a Mediterranean healthy diet," he said. It's never too early to get his swimmers fighting fit! Sometimes, comfort food is all that can cure us after a bank holiday of gin and tonics. 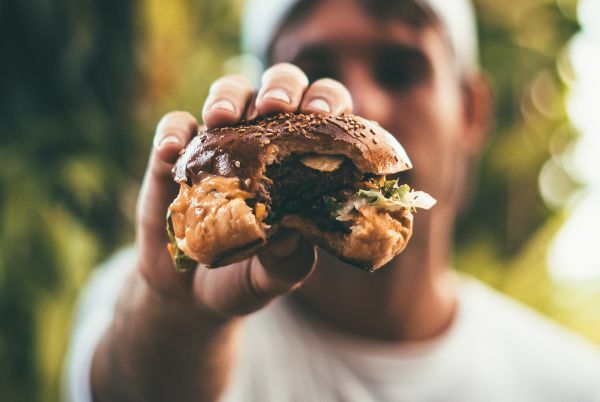 Dining out on carbs or ordering a takeaway are the only ways to salvage a day lost to the aftermath of a heavy night, and there are a few food that hit the spot every time. Carbs are what is needed on days like today, and while we have the weather for it, dining al fresco is very appealing right now. Metro Cafe on South William Street has a selection of completely delish sandwiches, as well as an outdoor seating area complete with blankets to swaddle yourself in when the hangover gets to be tto much. We definitely recommend the hot prosciutto melt, which layers parma ham, vine tomatoes, mozzarella, freshly torn basil and extra virgin olive oil all served on a perfectly toasted ciabatta. Yum! There are few things in this world as glorious and life altering as a mound of cream, ice cream, sauce, sprinkles and strawberry Pocky wrapped up in a delicious bubble waffle. The Bubble Waffle stall is at Dublin's Eatyard, and their cone-shaped confectionery treats are what dreams are made of. Pizza is completely necessary when hungover, and that is a fact. Firehouse Pizza, Base and Dominos are all classics. There are few things more perfect in this world that a big bowl of pure cheesy, carby goodness, aka mac'n'cheese. Galway's Biteclub slays when it comes to the stuff, so order it if you're hangover resides in the west. A juicy burger with a side of fries, sweet potato fries in particular, really hits the spot when it comes to hangover feasting. 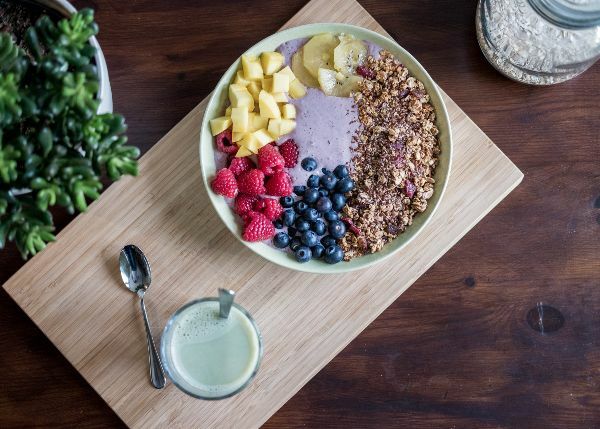 Lately we've been trawling Instagram in search of our favourite foodies, and we noticed quite a few vegetarian foodie Instas that have some amazing looking culinary delights. 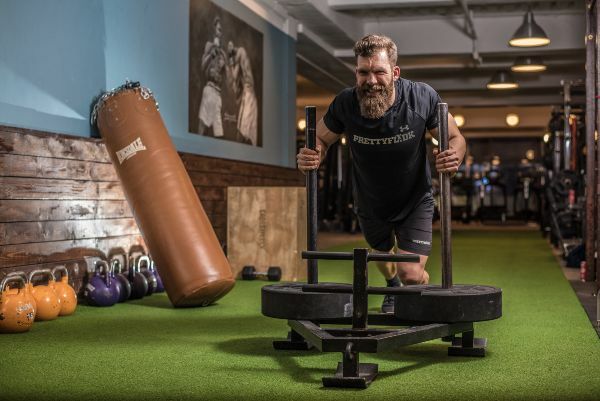 Damy is an Irish athlete and physical therapist who is undertaking a vegetarian challenge. The gymnast proves that you can fuel a fit body without needing meat for protein. 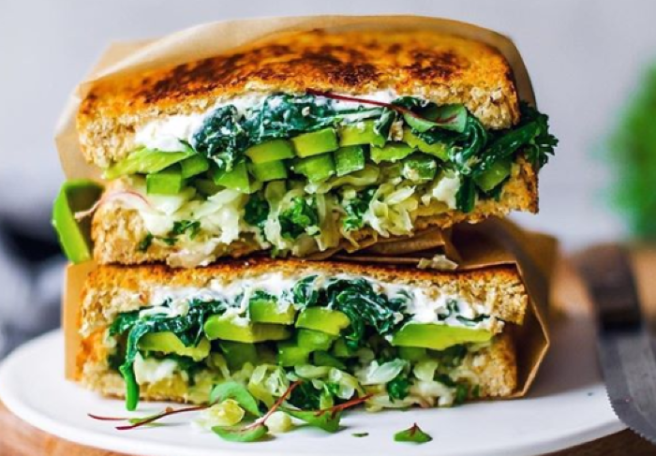 The Dreamy Leaf is an extremely well-established veggie-foodie Instagram. Its owner Maya comes up with some of the most delicious plant-based recipes we've ever seen! Sarah gives us a realistic and relatable look at life as a veggie. With her simple, homemade recipes, this girl strikes the perfect balance between aspirational and realistic. Naomi and her fork sample and snap some of the best veggie options in Dublin and its surrounding areas. The veggie documents what she eats on her travels and at home, with little details about the quality that we definitely appreciate. Concocting some of the best vegetarian recipes around is no easy feat, but Sprouted Kitchen manages it beautifully. Looking for veggie lunch box ideas? Then look no further than this nifty Instagram, specialising in lunches and delicious healthy snacks. Another amazing place to get ideas and recipies, the Veg Space has plenty of simple and delicious food combos for you to choose from. 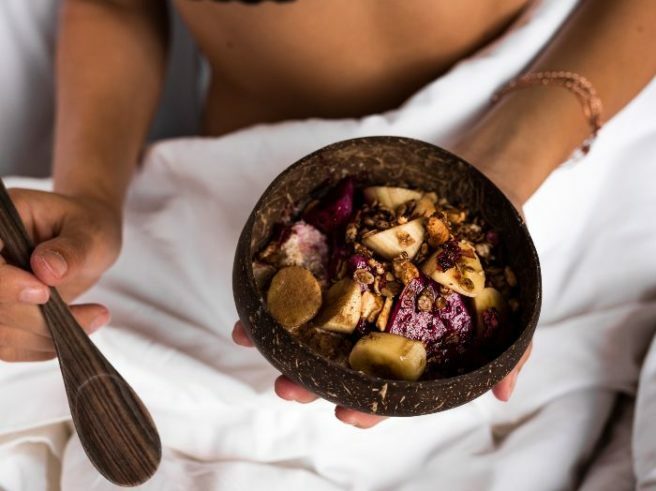 Oh She Glows promotes some amazing plant-based food choices, and with almost 10 years as a veggie under her belt, we're listening. 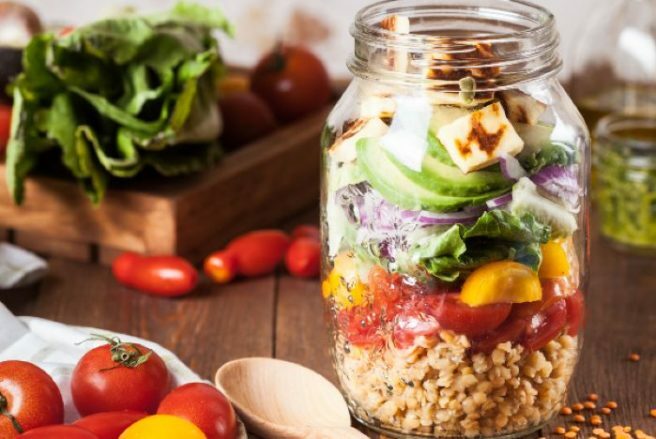 This blogger focuses on bringing delicious, seasonal vegetarian recipes to your kitchen and simple strategies to bring more yoga and mindfulness into your life. That's a message we can get behind. Veteran veggie Jeanine Donofrio has one of the best vegetarian feeds around. Seriously, her Instagram is goals. Whether it's an obsession with the Kardashians or a penchant for a pretty sunset, there's a specialist Insta account out there waiting for you. Instagram happens to do foodie accounts particularly well, and we've found a few Irish Instagrams that make us simultaneously drool, delight, and deliberate our diets. We've also found some niche accounts for the vegans and gluten-intolerant who walk among us. Bon appetit! Whether it's a dietary requirement or a sign of the times, gluten-free options have become more and more accessible and, in some circles, trendy. 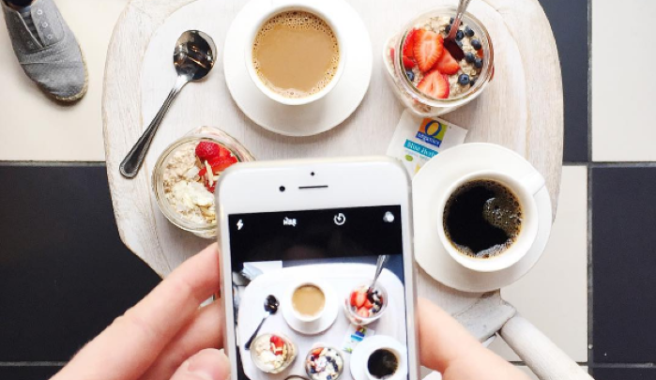 This handy little Instagram gives a low down of the best GF products, both in restaurants and in supermarkets, and even includes some nifty recipes. 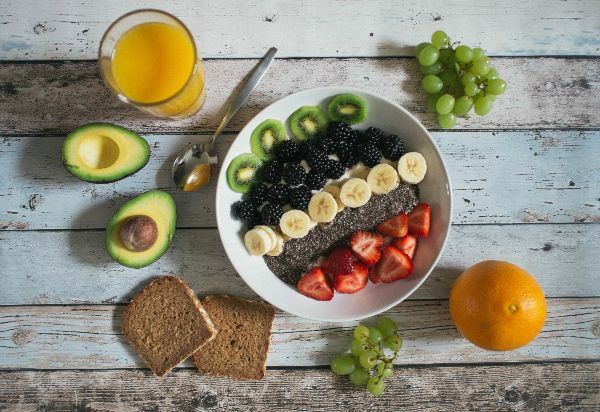 Veganism is really taking off on Irish shores, and whether you've gone plant-based to save the animals or improve your physique, this page reveals some great little gems from the Irish vegan cuisine scene. Full of beautiful, envy-evoking snaps of the heartiest vegan food, you'll be spoiled for meal ideas. Brunch is the best meal of the day, and if we have a little mimosa to go with it, who's to judge? This brunch guide celebrates some of the best brunch spots around, focusing on fresh Irish food. Like a little tipple with your evening meal? This guide is unique as, while it indulges at some of Dublin's best eateries, it also covers cocktails and vinos, too. OK, sorry; we love brunch too much! This brunch guided deserves a mention for it's delightful coffee shots and artful photography. Oh, and the food looks pretty damn good too. Coming in at number one is Yummy Dublin, a complete smorgasbord of the greatest grub Dublin has to offer. 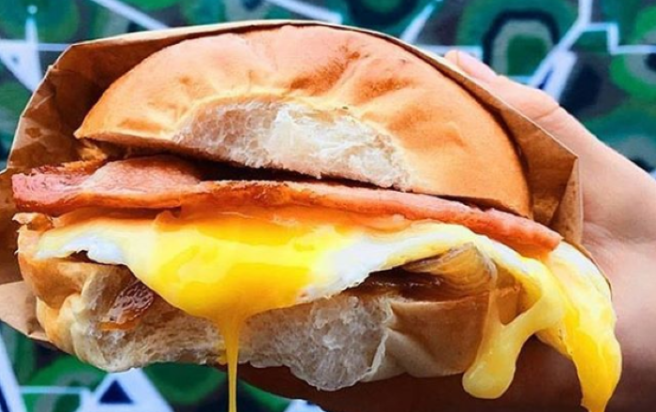 From belly-busting burritos to dreamy doughnuts, take the ultimate taste tour of this fair city via Instagram, Just be sure to wear your eating pants.